The music of Suo digs deep down into the landscape of archaic Finnish runosinging: the rich language of Kalevala poetry, the fascinating myths and spells, the ageless flow of kantele and jouhikko music. Interpreted by this skillful trio, the forgotten music becomes alive once more and gets injected straight into your spine: the energetic guitar of Roope Aarnio, the nimble fiddle of Emilia Lajunen and powerful voice of Veera Voima will take you on an unforgettable journey. Suo has featured in Finnish etno pop scene for a long time and published cd’s and videos regularly. It has played in many of Finland’s biggest folk music festivals and toured in Scandinavia. 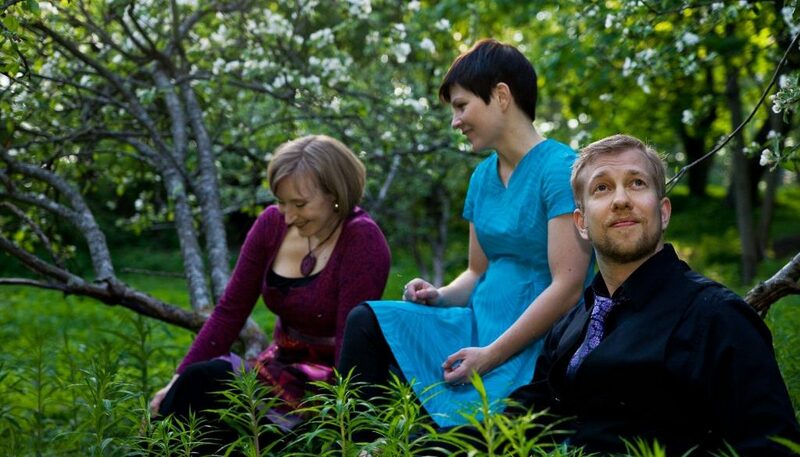 The trio was nominated for Etno-Emma award in 2009 with the cd ”Mieltäni meri ajaa”.